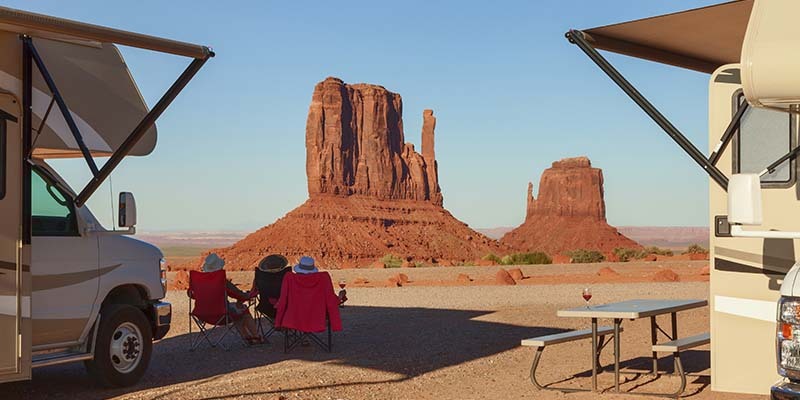 RV awnings are wonderful especially when you are going for vacations, and summer where there is possibility for heavy sun, thunderstorms, and some other unplanned weather conditions that may arise. Hence, it is important to be observant and regularly check your RV awning for any kind of hole, tear, or rip. Early detection before going out on your trip goes a long way in saving you lots of stress and makes the task less tedious. So what are the things you need to do when you notice any form of anomaly in your RV awning? The answer to this is what we will be looking at in the sections to follow. I will highlight a few useful tips that can help in repairing your RV awning. If you feel that your awning is past the point of no return and you need to completely replace the awning, have your local Phoenix RV repair company help you out. Assess the Tear or Rip: The first thing you need to do is to assess the rip to see how large or small it is. If it is less than three feet in length, then you can easily repair it using a long piece of clear awning tape but if it is over three feet or more than one-quarter of the awning length then you have to buy fabric of the same material and color and get it sewn by someone who has the skill to sew it without further damage being done to it. RV awning tapes can be bought in hardware store where RV supplies are being sold. Prepare the Area: You will need to get a roll of clear RV awning tape from stores that dell camping supplies to repair the tear or hole. Clean both the bottom and top surface of the awning and ensure you follow the directions specified on the roll of the tape. The entire surface of the awning must be dry and clean for the tape too work effectively. You can use any water based cleaner such as Windex or alcohol to do the cleaning and allow it to dry afterwards. Avoid using any kind of silicone or oil-based cleaner to clean the surface as this may cause the tape not to stick properly. Cut the Fabric Accordingly: Use a fabric scissors to cut a rectangle or square of the same fabric material and color into the appropriate size to fit the tear or hole. Repair the Tear: You will need to get a water-resistant RV glue, once you have properly covered the torn part with the new fabric then you can apply the glue. Make sure you get the right type of tape as any other tape can cause further damage to the awning. After this, you can cut the excess material or loose edges, in order to make the patches appear as clean as possible. Whether you like it or not, your RV window will one time or the other have issues probably as a result of going to close to a tree branch or one of the kids decide to go overboard by hitting something against it. Whatever may cause the damage or however it may happen, you will need to fix the RV window nonetheless. To begin the repair, you will need a new frame unit and window to be on ground. The window frame has several screws that are meant to sandwich the wall between the two halves of the window frame together. Get someone on the other end to help you so that the window doesn’t fall out, remove both the interior portion and interior screws of the window frame. Use a putty knife to break the seal between window and the putty, once it break loose, then the window can be easily removed and put on one side. Next you will have to clean the window opening, use the putty knife to scrape all old putty that mat be left. Use a fresh roll of butyl putty tape to install a new layer round the window opening. Install the new window into the opening and press gently along as you carefully seat it in place. Tighten the screws and run a light bead of silicone around the top edge of the outside window frame. Regular cleaning and proper maintenance will help to prevent damage to your RV awning, RV window, and slide topper. 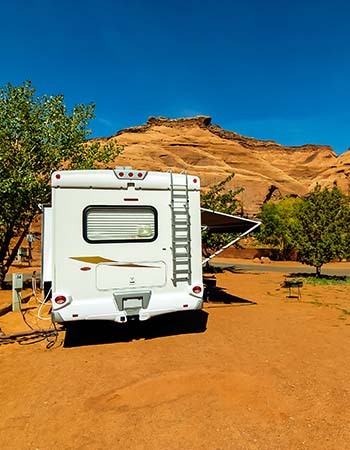 Hence, it is recommended that you run regular checks most especially before setting out s that you can have enough time to make all amends needed on your RV awning so that you can have less issues to deal with.